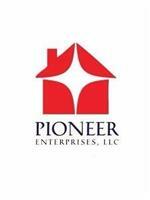 Congratulations, you’ve found a Pioneer Enterprises property that you would like to become your new home. The application and move in process is described below. After submitting an application, please pay non refundable application fee(s) by credit card, cash, or money order. Credit cards can be processed over the phone after submitting. Present two most recent pay stubs. If self employed, present last filed tax documents showing adjusted gross income. If any of the rental verification is not available, please explain any and all reasons in your application. After approved, promptly make a deposit and complete a signed deposit agreement, so that your desired property can be taken off of the market. Please do a walk through with your representative before signing the lease. Any defects or pertinent info about property condition can be noted on walk through sheet. You will not be held responsible for noted items upon move out. Transfer utilities in your name. So your time with us has come and gone. 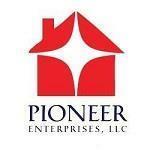 We are sad to see you leave but do appreciate you being a Tenant in one of Pioneer Enterprises Rental Properties. Complete your lease term with account balances paid in full. Clean interior of the home thoroughly, including appliances and cabinets. If carpeted: you may higher a professional cleaning company to clean the carpet. Please retain the receipt and give to your Pioneer Enterprises representative. Property must be completely vacant and all keys to be returned. Property should be in condition to be turned over to next tenant. Thank you for choosing Pioneer Enterprises. We are a full service Property Management company and have a full team of Home Improvement professionals ready to take on any residential renovation job, perhaps we can be at your service again in the future.